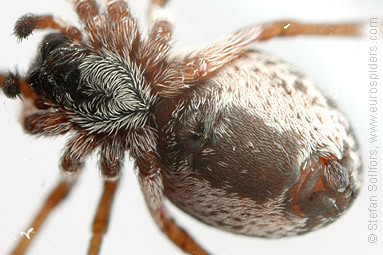 Close-up of the body of a male Dictyna arundinacea. 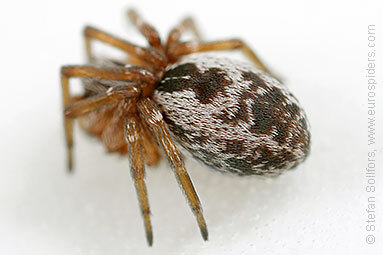 The pattern on the back of this spider is very good. 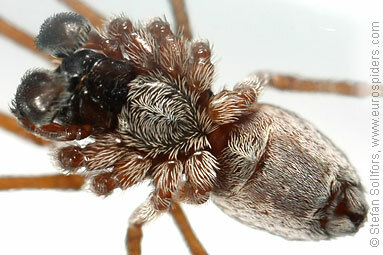 Male Dicyna arundinacea, head-on view. 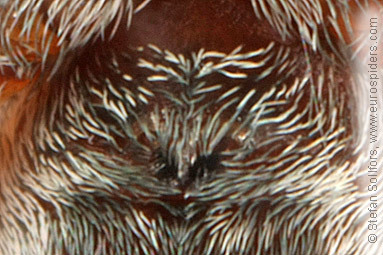 Close-up of the eyes of a female Dictyna arundinacea. 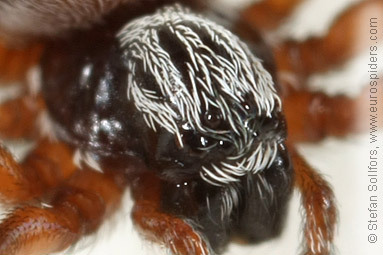 Close-up of the head of a male Dictyna arundinacea. 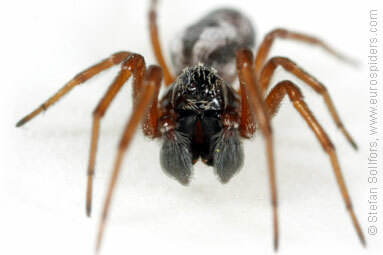 Female Dictyna arundinacea from below. 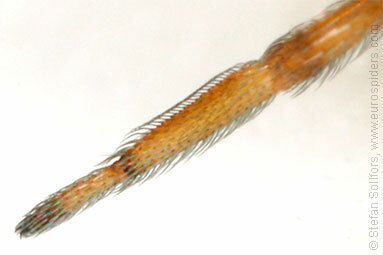 Male Dictyna arundinacea from below. 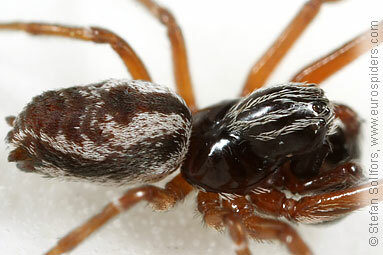 Female Dictyna arundinacea, close-up of epigyne. 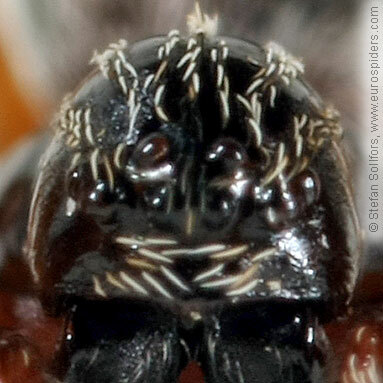 Male Dictyna arundinacea, close-up of palps. 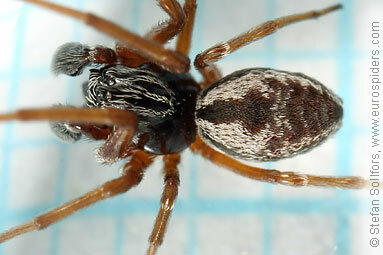 Female Dictyna arundinacea, just above 3 mm long. 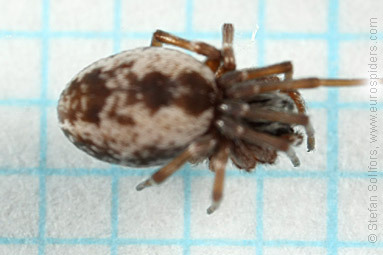 Male Dictyna arundinacea, about 3,5 mm long. 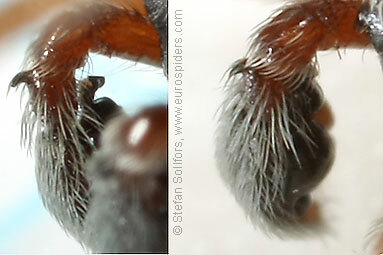 The comb (calamistrum) on the back leg to comb out silk from the cribellum. 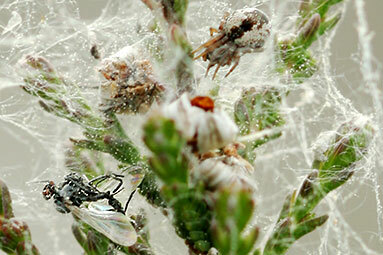 Dictyna arundinacea spider in its net. 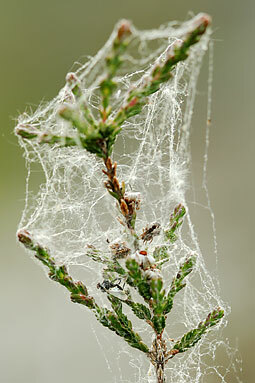 Same photo as above, zoomed in. 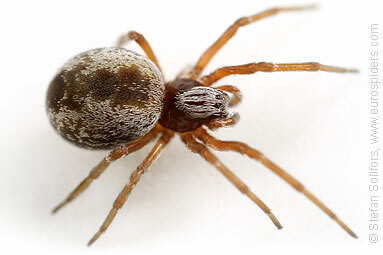 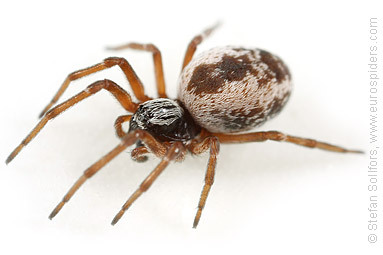 Tiny spider with black and white hairs covering the abdomen. 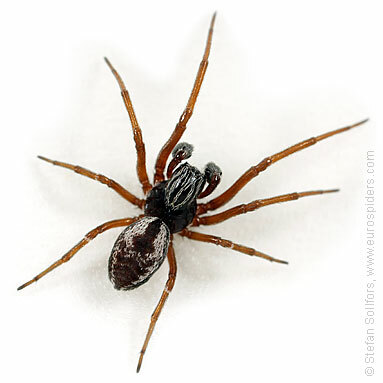 It is about 3 mm long, not counting the legs. 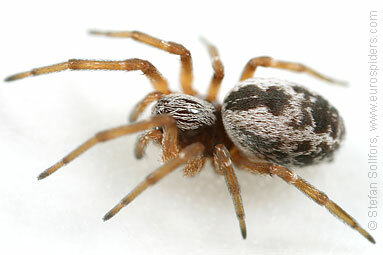 Female very similar to D. uncinata.